The receiver list below is separated by prime and secondary focus receivers ordered by wavelengths. With the installation of the new subreflector receiver changes in the prime focus became more flexible. Receiver changes from prime focus to secondary focus and vice versa are now possible within 30 minutes. 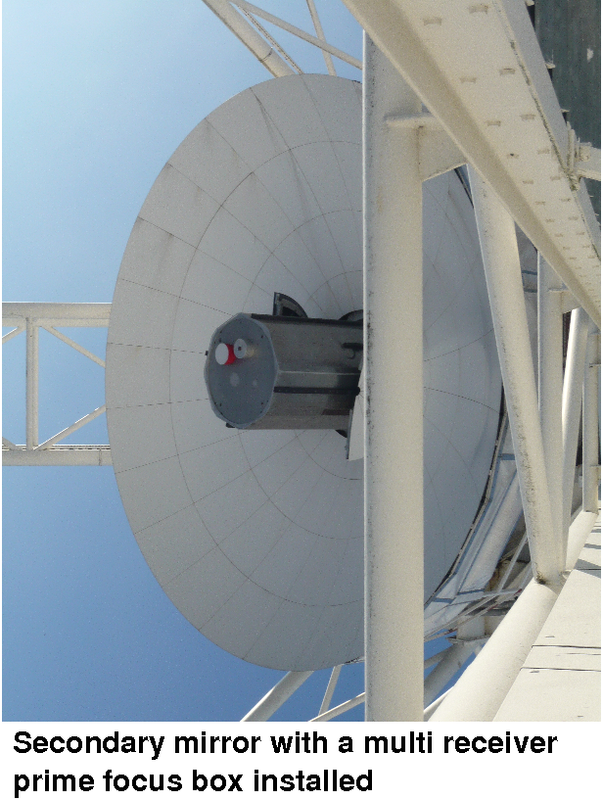 In addition also multi frequency receiver boxes are installed at the prime focus, yielding again a higher flexibility. At the moment, two multi-receiver boxes are available. The first contains the 18/21 cm (single pixel), the 1.9 cm and the 1.0 cm receivers; the second one includes the 30 cm, 5 cm, 2.2 cm and 0.3 cm systems. Changes within a multi-box are done by rotating the box and shifting the subreflector, which takes about a minute. 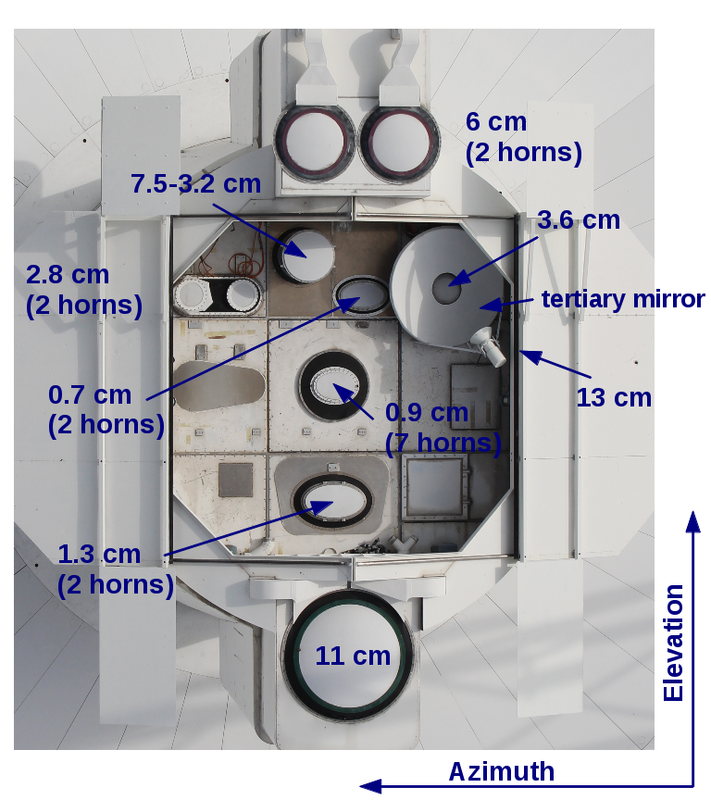 In the secondary focus of the telescope the receivers are permanently mounted on their positions described in the receiver description. In secondary focus observations, these receivers can be used "quasi-parallel", ie one can easily change by software from one receiver to another in a timescale of ~ 30 sec without manual interventions. Look here for a table of noise values for continuum observations.